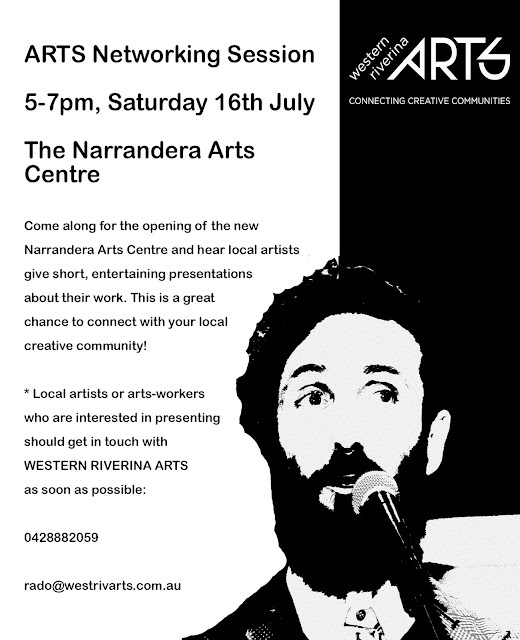 This is the second in a series of sessions that will run across the Western Riverina region beginning in 2016. Your host will be Regional Arts Development Officer for the region, Derek Motion. To present your story all you’ll need is around15-20 images (we can help you take some photographs if you need some). Each will be displayed briefly while you talk for around 5 minutes. Easy! Snacks and drinks will be provided. Come along and meet people involved in the arts in your area, maybe even begin a fruitful conversation or collaboration.